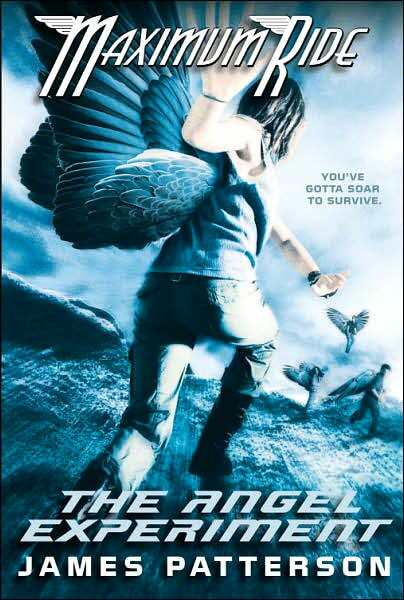 The “Maximum Ride” series from James Patterson is a “Young Adult” series that is intended for grades 7 through 9. The defacto leader and namesake of the series is 14-year-old Max. She is the narrator for much of the story and spends a lot of time addressing the reader directly, I find this tedious and it may be what I dislike most about the series. I struggled through the first book, The Angel Experiment. The writing is far from inspiring and a little condescending, but I found many of the ideas in the story interesting and felt that it could really go somewhere. In the second book, School’s Out, the writing is a bit better and the flock’s desire for family is touching. In the third book, Saving the World, the story is getting repetitive. It feels like there are multiple voices writing the book and they have diverging ideas. I like the action but I am growing a bored with the series. But I would like to continue reading and learn the fate of the flock. I have been buying these books from Fictionwise, the eBook seller now owned by Barnes & Noble and all of the Maximum Ride books have been pulled from their catalog. In a response to an email they have said, “Due to industry changes, our content suppliers are currently unable to offer certain titles from several large publishers. We are working with our content partners to resolve this.” So no more James Patterson for me. I guess I will never know what becomes of the Flock. To the credit of Fictionwise, the James Patterson books I have previously purchased are still available in my library. To all you book publishers out there, get over yourselves and remember that some money is better than no money. To the authors out there, I am sorry you feel the need to use publishers that force terrible contracts on you that give away your rights to get your material into the hands of those who want to buy it. This entry was posted in Books, Sad. Bookmark the permalink.